Looking back over the past 30 years in my time of using PCs, I have seen the birth of home computing with the ZX81 through to the Spectrum 48K, Commodore 64 and Amiga, 386 and 486 then on to continual evolutions of what we today describe as a home PC. But what is a home PC exactly? I dare say that what you might describe as a home PC would differ to ours, would differ to what the guys in the purple shirts and most other people for that matter. The point being that a home PC is to one person overkill to another and under performing to yet someone else. We all have our own needs from a PC whether it be for simple word processing, writing emails, browsing the web or more demanding tasks such as CAD design, gaming, video editing and the like. A home PC then should be able to complete a variety of tasks if it is to be truly used in the home. Because of the many needs of the home user, PCs had to be large to house the many components needed satisfactorily deliver those needs. Today however, we see that users now want stylish, slim, compact devices such as tablet PCs and Ultrabooks. 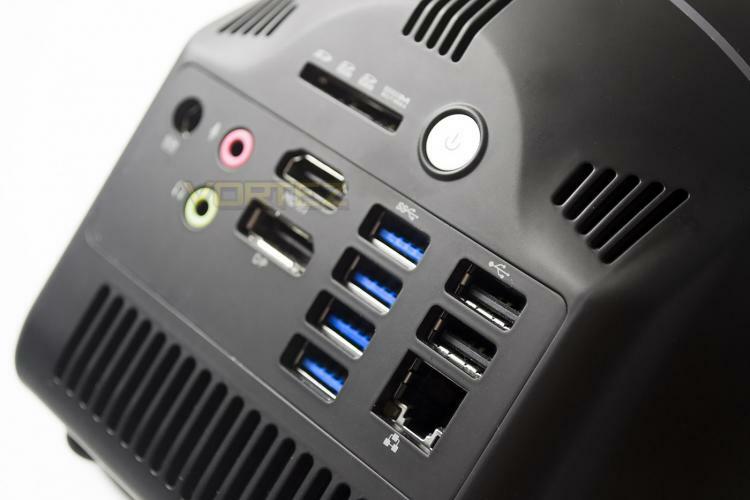 There is however still a market for the desktop pc but with space at a premium, desktop real estate has been cut down dramatically so to this end manufacturers are looking to deliver desktop pc's with as small a foot print as possible, without of course compromising on style. The mini-PC was born.